In a bid to do away with deadwood in government and institute reforms ahead of the 2018 general elections, Zanu PF will soon impose age restrictions for prospective candidates when it conducts party primaries, the Zimbabwe Independent has established. Sources this week said the ruling party’s national political commissar Engelbert Rugeje was pushing through reforms that will, among other outcomes, stipulate that prospective parliamentarians must be 45 years old and below. Sources also said Rugeje, who replaced Saviour Kasukuwere a few weeks ago, wants the next Zanu PF primary elections to be free and fair. “Rugeje said Zanu PF’s focus is on encouraging those who are 45 years and below to contest in the primary elections so that they become legislators,” a source added. While addressing the Masvingo provincial coordinating committee last week, Rugeje said he had been employed by Zanu PF to mobilise support. “I have no interest in your constituencies. President Mnangagwa employed me to mobilise supporters for the party and I will do that. I am now employed full time by the party, so my everyday job is to make sure Zanu PF is gaining popularity,” Rugeje told party officials over the weekend in Masvingo. The Zanu PF sources said Rugeje’s main task was to overturn whatever the former political commissar Saviour Kasukuwere did. “Gone are the days where disciplinary action was taken by one man. If you have issues, kindly raise them within your provincial structures. If you come to me, I will ask you to go back to the provincial leadership,” he said. Mnangagwa will kick-start his campaign trail on January 12, where he is expected to have a meeting with the chiefs. “The President is expected to hold a meeting with the chiefs, where he will be presented with issues that are affecting the traditional chiefs,” a source said. 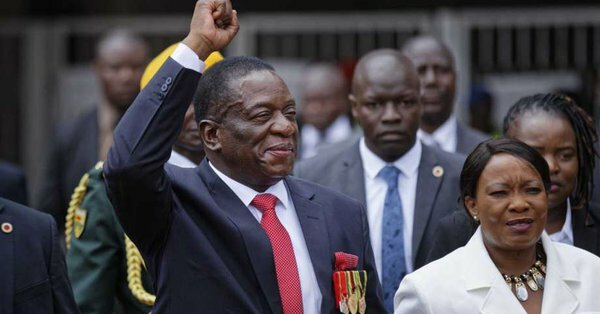 Mnangagwa is also expected to meet with industrialists, farmers, millers and small-scale business operators around the country. “The President wants to meet stakeholders in the economic sector because his thrust is to improve the economic situation in the country and this will have a positive impact on the political side,” the source said. Apart from the business interest groups, Mnangagwa will also meet with the students at the Chinhoyi University, sources said. “The students’ meeting will take place at Chinhoyi University, where issues to do with students will take centre stage,” the source said.